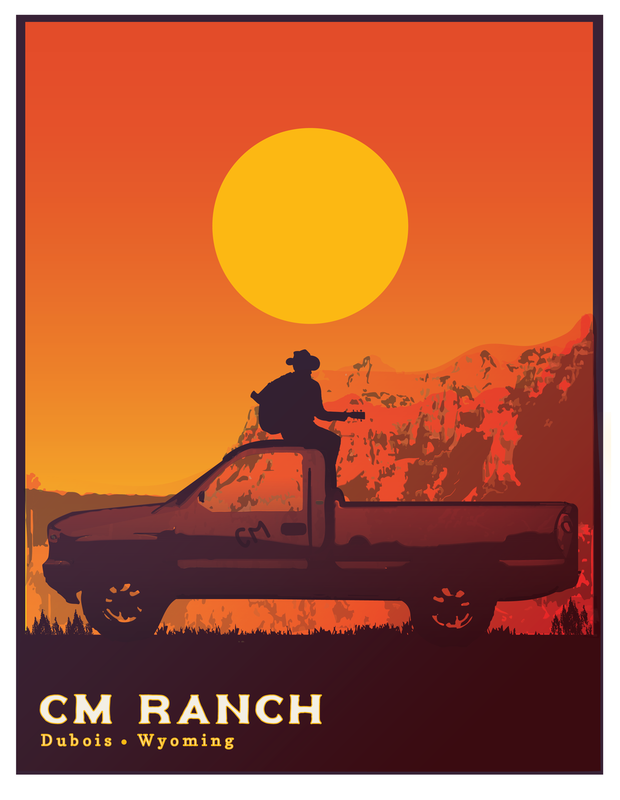 I created these posters and shirt designs for the CM Ranch, a dude - ranch located in Dubois, Wyoming. The purpose of these designs was to advertise the beautiful and varied terrain out west. This poster series combined views one may have as a guest during their stay at the CM with updated and unique color combinations. Additionally, I've created a few hand-drawn shirt designs for their spring collection. The designs featured here have custom fonts and were hand drawn and painted to fit a retro western aesthetic.